Bob Pejman is a contemporary American artist, master of Neo-Romantic Realism. 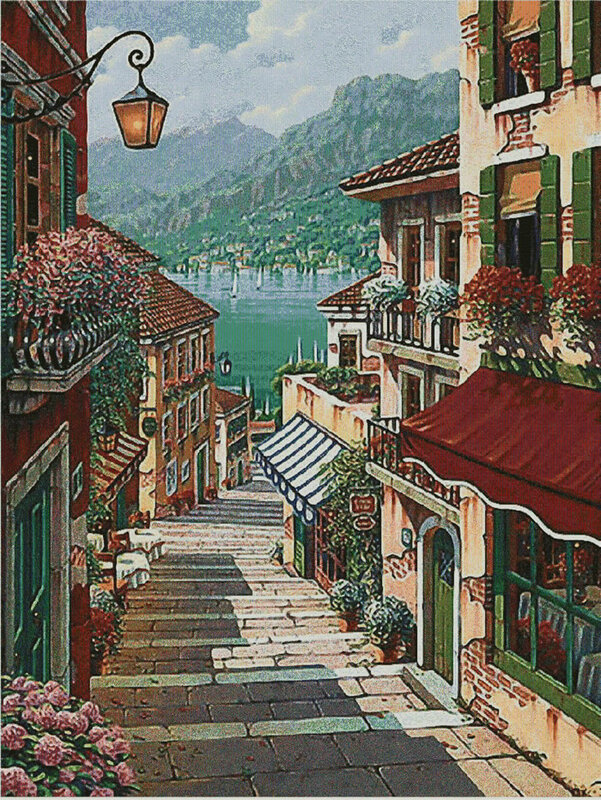 He mostly specializes in idyllic classical Italian renderings of captivating vistas of old world locales such as Venice, Lake Como, the Amalfi Coast and Tuscany. 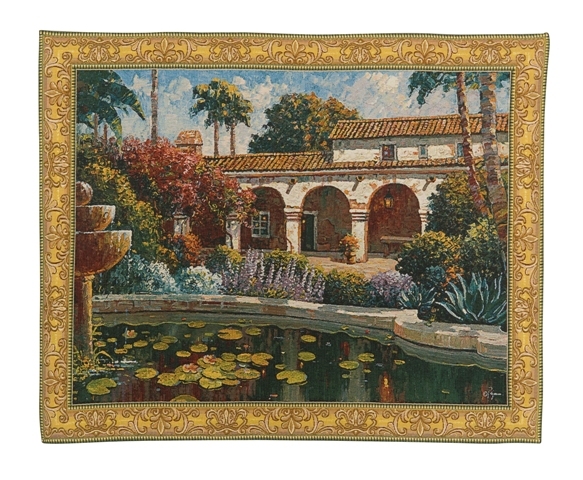 Creating idyllic, tranquil worlds in his works, Pejman offer a modern look at the ancient ruins, majestic villas and overgrown gardens, some of which no longer exist. There is romance in history, and Pejman reminds the viewer of classic beauty and emotions that transcend time. 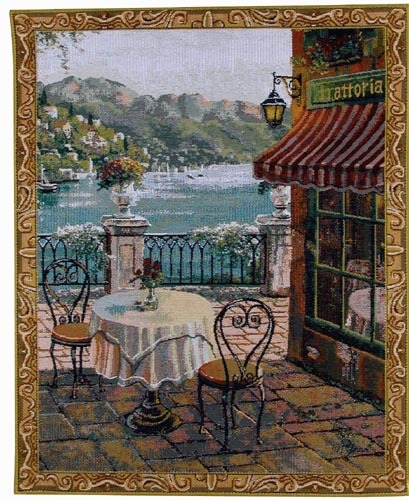 We offer the finest quality original tapestry reproductions endorsed by the artist himself. They are woven in Belgium by Flanders Tapestries mill. also available in size: H65" x W52"
also available in size: H33" x W43", H40" x W52", H58" x W77"